Objective To evaluate the effectiveness of increased primary care access created by North Carolina's Medicaid managed care plan, Carolina Access (CA), in reducing unnecessary emergency department (ED) use in Guilford County. Methods Emergency department records of pediatric visits before and after the implementation of CA were analyzed. Variables included patient age, International Classification of Diseases, Ninth Revision discharge diagnosis, insurance status, date of visit, time of visit, and ZIP code. Visits were classified as either urgent or nonurgent based on discharge diagnosis. Rates of ED use per 1000 persons were calculated using county population and Medicaid enrollment figures. Results A total of 54,742 ED visits occurred between January 1, 1995, and December 31, 1997. Thirty-eight percent of these visits were by children (defined as those aged 0-18 years in this study) enrolled in the Medicaid program. After the implementation of CA, monthly ED rates per 1000 children with Medicaid insurance decreased 24% from 33.5 ± 5.3 to 25.6 ± 2.3 (P<.001), which translates to 158 fewer visits per month by children enrolled in the Medicaid program. Nonurgent visits among the population enrolled in the Medicaid program decreased from an average monthly rate per 1000 of 17.9 ± 3.5 to 11.2 ± 2.5 after the implementation of CA (P<.001), accounting for most of the decrease in total visits. (All data are given as mean ± SD.) The rates of total and nonurgent visits among the population not enrolled in the Medicaid program increased slightly. Conclusions For children with Medicaid insurance, we found a strong temporal relation between decreased visits to the ED and increased access to primary care services, services that were made available by the implementation of North Carolina's Medicaid managed care plan, CA. Specific services that may be responsible for the decreased ED use include the expanded availability of primary care physicians and the use of telephone triage systems. No similar decrease in ED use was seen among the non–Medicaid-insured group. To evaluate the effect of these additional primary care services for children enrolled in the Medicaid program, we conducted a population-based study in a moderate-sized North Carolina community comparing the rate of ED use before and after the institution of CA. The greater Greensboro area, located in Guilford County, has a population of approximately 350,000 and is served by 2 major EDs, one at the Moses Cone Hospital and one at Wesley Long Hospital. There is a third ED in the county, but it is located approximately 48 km away and serves a distinctly different population. Most of the area's primary care services for children enrolled in the Medicaid program are provided by Guilford Child Health (a private corporation that was previously part of the Guilford County Health Department). One smaller clinic and one pediatric practice also see mainly children enrolled in the Medicaid program. In addition, and in response to CA, most private practices have a few Medicaid enrollees in their practices. Enrollment of children (defined as those aged 0-18 years in this study) in CA was started in the autumn of 1995, and the program was fully implemented by January 1996. Data on visits by children aged 0 to 18 years who presented to the 2 Greensboro EDs between January 1, 1995, and December 31, 1997, were obtained from hospital billing records. Variables selected from the hospital databases included patient age, International Classification of Diseases, Ninth Revision (ICD-9)12 discharge diagnosis, insurance status, date of visit, time of visit, and ZIP code. Only children residing within the county were included in the analysis. Subsequent visits were not excluded. Those without an ICD-9 classification (<0.25% of the total) were excluded. Visits were classified as either urgent or nonurgent based on the discharge diagnosis. 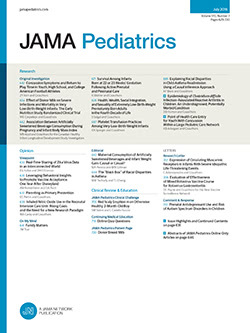 Nonurgent visits were defined based on an ICD-9 code that could reasonably be assumed to be neither life nor limb threatening nor time sensitive and, therefore, amenable to care in a private office or public clinic.13 For the present study, children were classified as either Medicaid recipients or non–Medicaid recipients based on insurance provider listed in the database. The non–Medicaid recipients, therefore, included children with insurance and the uninsured. Rates of ED use expressed in visits per 1000 persons were calculated using yearly county census and Medicaid enrollment figures as denominators. These population estimates were provided by the North Carolina Office of State Planning and the Guilford County Department of Social Services, respectively. Yearly estimates of non–Medicaid recipients in the county were obtained by subtracting the number of Medicaid-enrolled children from total population estimates. Monthly rates of ED use before and after the implementation of CA were compared by using Poisson regression analysis with SAS statistical software (SAS Institute Inc, Cary, NC). Given wide monthly variation in ED use, monthly rates were averaged quarterly. Data are given as mean ± SD unless otherwise indicated. The study was approved by the Moses Cone Hospital Institutional Review Board. A total of 54,742 pediatric visits to the 2 Greensboro EDs occurred between January 1, 1995, and December 31, 1997. In 1995, approximately 19,239 children in Guilford County were insured through the Medicaid program, compared with a non–Medicaid-insured population of 71,185. During the following 2 years, the Medicaid-insured population increased at a rate of 2.5% to 3.0%, while the non–Medicaid-insured population increased from 1.0% to 1.5%. Demographic characteristics are presented in Table 1. Those receiving Medicaid were younger and more likely to visit the ED for nonurgent reasons than children not receiving Medicaid. Average ED use by children enrolled in the Medicaid program was 33.5 ± 5.3 visits per month per 1000 children eligible for Medicaid in 1995. As seen in Figure 1, this rate decreased 24% after the full implementation of CA in January 1996 to 25.6 ± 2.3 visits per month per 1000 children and remained consistently lower throughout the remainder of the study period (P<.001). In contrast, monthly visits for non–Medicaid-insured children before and after the implementation of CA actually increased 8% from 12.2 ± 1.1 to 13.3 ± 1.4 visits per month per 1000 children (P<.001). The rate decrease among the Medicaid-insured population translates into an approximate reduction of 158 total visits per month to Greensboro's 2 EDs, with almost all of this reduction occurring immediately after the institution of CA. Average quarterly rates of emergency department use by Medicaid status for total visits. The decrease in nonurgent visits by children enrolled in the Medicaid program was even more striking. As seen in Figure 2, the 1995 average monthly rate of nonurgent ED use was 17.9 ± 3.5 per 1000. In 1996, this average monthly rate decreased 37% for children enrolled in the Medicaid program to 11.2 ± 2.5 per 1000 (P<.001). Nonurgent ED use stabilized in 1997 at an average monthly rate of 10.8 ± 2.4 per 1000. The decrease in total ED use by children enrolled in the Medicaid program is almost entirely attributable to the change in nonurgent visits, as urgent use declined only slightly during the study period (Figure 3). The rate of nonurgent use for non–Medicaid-insured children increased slightly during the 3-year period, from 3.9 ± 1.3 to 4.2 ± 1.4 visits per 1000 (Figure 2). Average quarterly rates of emergency department use by Medicaid status for nonurgent visits. Average quarterly rates of emergency department use by Medicaid status for urgent visits. The average monthly rate of daytime visits by those enrolled in the Medicaid program decreased from 16.6 per 1000 in 1995 to 11.9 per 1000 in 1996, a 28% decrease, while nighttime visits decreased 15.5% from 17.9 to 15.1 visits per 1000. For children not enrolled in the Medicaid program, monthly nighttime and daytime rates remained relatively unchanged (data not shown). As shown by previous studies,1,2,13,14 children insured through the Medicaid program use hospital EDs more frequently than privately insured children, particularly for nonurgent reasons. Our population-based data demonstrate that from January 1, 1995, to December 31, 1997, the rate of ED use by children enrolled in the Medicaid program declined by an average of 158 visits per month, or 24%. The decline in total ED use was primarily attributable to a 37% decrease in nonurgent visits, which occurred after the implementation of CA. By contrast, ED use among children not enrolled in the Medicaid program during the same period increased slightly. As a result, children enrolled in the Medicaid program use the ED only twice as often as children not enrolled in the Medicaid program, compared with more than 3 times as often before the implementation of CA. What caused this dramatic narrowing of the gap in ED use between children enrolled and children not enrolled in the Medicaid program? Because of the ecological nature of our study design and the fact that we did not directly measure any intermediate outcomes, any conclusions that we draw regarding the cause of this change must be made with caution. However, we hypothesize that it was the implementation of 2 specific primary care services that significantly contributed to this change. These were the expansion and identification of PCPs for children enrolled in the Medicaid program and access to 24-hour-a-day primary care availability, provided mainly through the use of call-a-nurse telephone systems. While no new pediatric or family practices opened during the period of CA implementation, several existing practices agreed to participate in the CA program and expanded their availability to children enrolled in the Medicaid program. While complete, practice-by-practice data are not available, several examples are illustrative. Beginning in late 1995, 2 large pediatric practices each increased their Medicaid enrollment by 500. A smaller, nonprofit clinic expanded to include 300 more Medicaid recipients. Many other area practices enrolled smaller numbers of Medicaid recipients. Most of these newly enrolled Medicaid recipients previously had no medical home. The provision of 24-hour access was another of the prerequisites by CA. All of the private practices had systems already in place, such as call-a-nurse services or an on-call physician. The newly enrolled Medicaid recipients in these practices used these services. However, the Guilford County Health Department (whose pediatric care has since been privatized under the name Guilford Child Health), the largest care provider for children enrolled in the Medicaid program in the area (with >20,000 visits per year), implemented a full telephone triage system when CA began. Data from this telephone triage line show that after its inception, it received more than 350 calls per month from concerned parents. Of those calls, home care advice (ie, no referral to the ED) was given in more than 70% of the cases. Direct data on the number of ED visits averted by this system are not available, but anecdotal reports from families and physicians lead us to believe that it is a substantial number. Because our previously described hypothesis is based on indirect evidence, we considered several alternative hypotheses. First, children enrolled in the Medicaid program may have continued to use ED services but received their ED care elsewhere. As previously mentioned, there is another hospital ED in Guilford County, about 48 km away, that sees many children enrolled in the Medicaid program. However, an analysis of records from this hospital reveals an actual decrease in ED use by children enrolled in the Medicaid program. Second, the rate of ED use may have decreased if the denominator (ie, children enrolled in the Medicaid program) significantly increased, especially if this expansion included relatively healthier children. However, this was not the case in Guilford County. The percentage of Medicaid-eligible children relative to the total population increased only slightly during the study period, and eligibility criteria did not change. In addition, analysis results of the number of uninsured children did not decrease, as might be expected if Medicaid eligibility had been expanded. Third, it is possible that CA was implemented in the midst of an existing downward trend of ED use over which it exerted no influence. In fact, as seen in Figure 1, there appears to be a slight decrease in ED use before the start of CA. Unfortunately, we could not include data from 1994 in our results because of the fact that before January 1995, data of pediatric ED visits by insurance status were not collected at the smaller of the 2 EDs studied. However, we do know that the total number of children visiting both EDs in 1994 was similar to total visits in 1995, with a transient peak seen in late 1994. In addition, at the larger ED, where we estimate that more than 80% of Medicaid visits occurred and where complete insurance-specific data were available, the rate of Medicaid visits in 1994 was almost identical to the rate in 1995. Based on these data, we believe that ED use was stable before the implementation of CA. Of interest is the sharp decrease in ED use seen early in 1996, immediately after the implementation of CA (Figure 1). Frequently, programmatic change occurs less dramatically and during a longer period. Given this, the sharp decline raises the question as to whether there was an additional reason for the decline. While normal seasonal variation may have added to this sharp decline, the CA program had been actively promoted and publicized some months before its official start date. We would suggest that this, and the immediate and extensive adoption of some of the new services such as the telephone triage system, makes this rapid decline in ED use less surprising. Therefore, despite several other possibilities, we believe that the most likely reason for the decline in ED use by Medicaid recipients was the improved primary care services created by the implementation of CA. Other than its ecological design, another important limitation of this study involves the difficulty of defining an inappropriate or nonurgent ED visit. A nonurgent visit may not always be inappropriate, depending on a myriad of medical and nonmedical factors. Also, the use of discharge diagnosis rather than presenting complaint in determining the urgency of the visit is problematic, since the presenting complaint may have initially suggested a more serious diagnosis. However, we applied the same criteria of urgency uniformly in our study, and while a more conservative definition of a nonurgent visit may reduce the magnitude of estimates of nonurgent ED use, the trend would be preserved. In addition, analysis of total ED use did not take diagnosis into consideration but, nevertheless, revealed important decreases in ED use by Medicaid recipients. We conclude that total and nonurgent ED use among children enrolled in the Medicaid program has dramatically decreased since the inception of CA in late 1995. We hypothesize that this decrease was specifically brought about by an improvement in primary care services required by CA. Specifically, these services were the expansion of PCPs and the availability of 24-hour access. That this "narrowing of the gap" for ED use occurred between those enrolled and those not enrolled in the Medicaid program is not surprising since these important services have long been a mainstay of preventive care for children not enrolled in the Medicaid program. Given this and the many unmeasured intermediate variables that may have been part of the decreased ED use, caution must be taken when giving Medicaid managed care per se credit for these changes. Further research is needed to directly measure which intermediate variables, such as a telephone triage system or an identified primary care physician, are most effective in narrowing the gap. Accepted for publication February 18, 2000. Presented in part at the 38th Annual Meeting of the Ambulatory Pediatric Association, New Orleans, La, May 4, 1998. We thank Kenneth B. Roberts, MD, for his critical comments. Reprints: Conrad J. Clemens, MD, MPH, Pediatric Teaching Program, Moses Cone Hospital, 1200 N Elm St, Greensboro, NC 27401-1020 (e-mail: conrad_clemens@mosescone.com).